Literary Magazine, / T. Holloway Sculp. 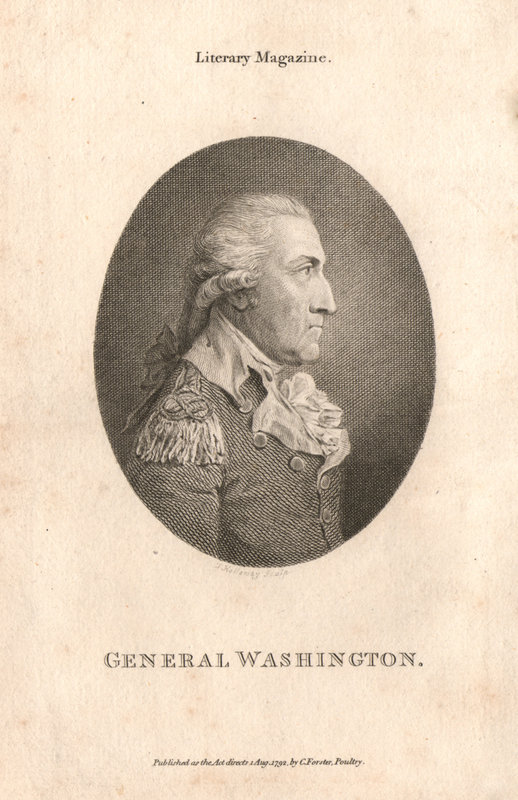 / General Washington. / Published as the Act directs 1 Aug. 1792, by C. Forster. Poultry. Version I: As shown. Collection: Boglewood Collection, Mount Vernon. Version II: As shown, with first two lines of text erased. Collection: Mount Vernon. Version III: As shown, but with all text except title erased. Much wear shown on plate. Printed in: (Version I) The Literary and Biographical Magazine (London, July 1792).